When it comes to tattoos we’ve seen some real horror stories over the years, but this story may just be the worst. 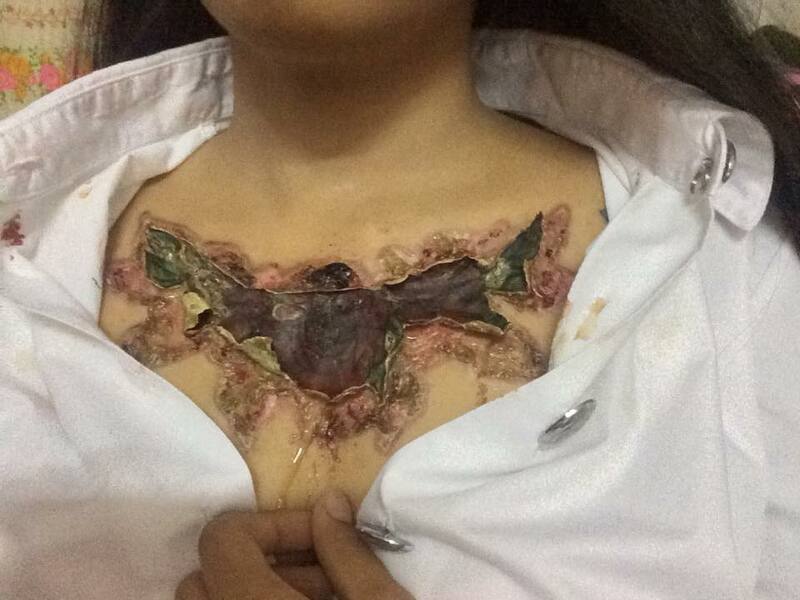 Pasuda Reaw, a student living in Thailand, decided to remove a chest and collarbone tattoo of a rose and was left with her skin feeling like it was going to ‘explode’. Hold your stomachs guys and girls because there are some extreme stomach turning pics to come. Essentially you apply a tattoo remover cream using the same needle used for tattooing and the chemical then destroys skin pigments – transforming the tattoo into an easily removable scab. But she soon found out that it wasn’t as simple as that, Huffington Post reports. She shared the process on a day-by-day basis on her social media accounts, and on day one it seemed to be good and just peeling as intended. But after a few days it became infected and a lot of pus was coming out of the wound. Ouch. 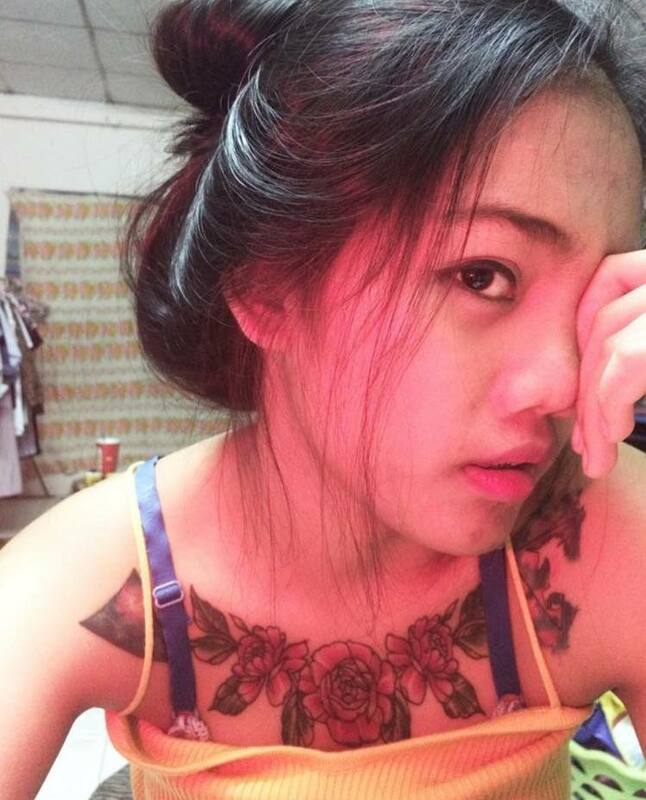 Once the infection cleared up the tattoo eventually peeled off- but that wasn’t the end of her painful ordeal. Her skin became very delicate, and bled even from the slightest bit of contact. And instead of the scar turning back to her skin colour, it looked similar to a burn. The most terrifying thing is that the scar was still clearly visible three months on. 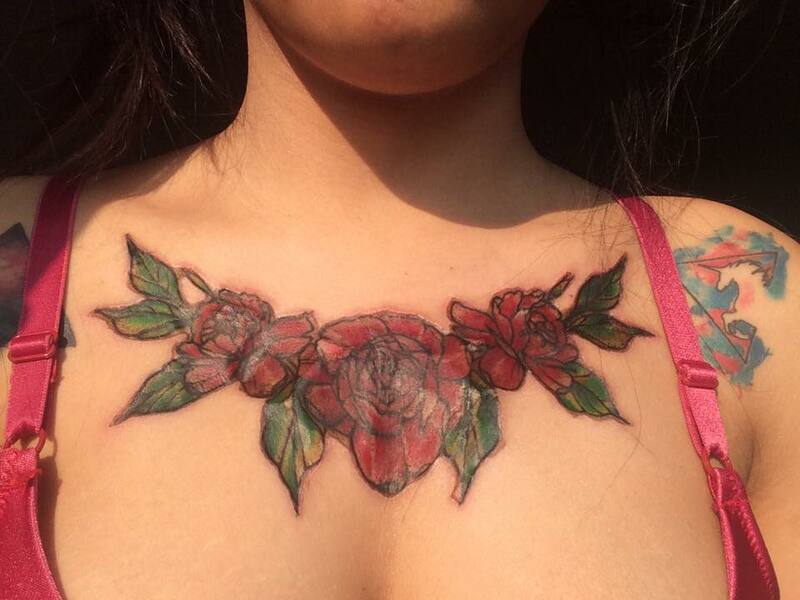 She decided to share the ordeal to raise awareness about the technique and to encourage people to avoid this tattoo removal technique at all costs. And after seeing the results I don’t blame her. 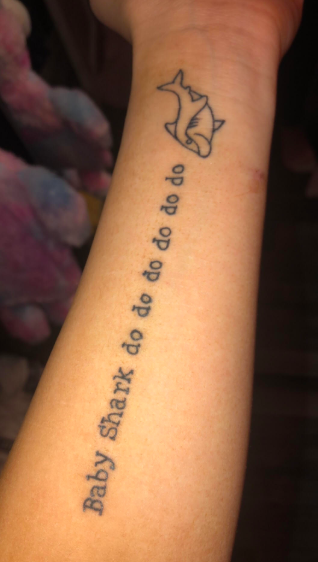 Speaking of tattoos which will one day probably be removed, a Lancaster girl recently got the lyrics to Baby Shark painted into her arm. No really. She even admits she has absolutely no regrets about doing so. Good on her. While on holiday in Ibiza last week, fuelled by alcohol Chloe stepped into a tattoo parlour and paid a grand total of €60 to have the lyrics ‘baby shark do do do do do do’ inked down her forearm. Unfortunately for the teenager she realised there was a ‘do’ missing thanks to the tattoo artists being unfamiliar with the catchy tune and so she had to return to the shop 15 minutes later to have it added. Being told this would cost another €60, Chloe also decided to have a cute drawing of a shark tattooed at the end. Happy with the result, Chloe would say the €120 was money well spent although her dad at first disagreed. Speaking to UNILAD, she explained how her parents had a mixed reaction to Chloe getting the lyrics permanently branded on her arm. I first hear the Baby Shark song on Facebook and I just couldn’t stop singing it. I find it so catchy I have even downloaded it to my phone and got the tattoo. My friends absolutely love it and can’t get over how much of a laugh I am. So many people messaged me and said they’d love to go on holiday with me and a lot of my friends we’re just non-stop laughing at me and sharing the picture with their friends! My dad was quite annoyed at first and told me I’m gonna regret it but now it’s made the news he’s staring to see the funny side! My mum always though it was fun although she couldn’t believe what I had done. Don’t know which tattoo or removal I’d want least.